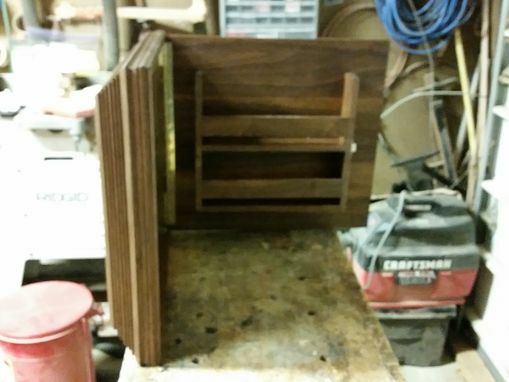 This Hid-A-Frame is made from Walnut. Other woods are available. 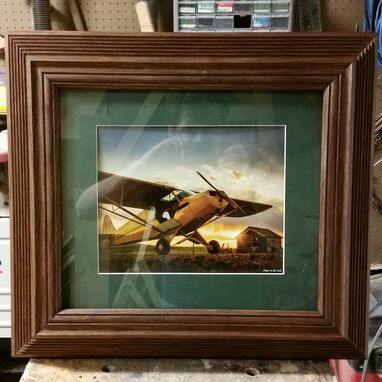 For a frame that can be painted or stained popular is a great choice. Other options are Maple, Cherry, Mahogany. Please ask about more wood choices. Custom sizing can be ordered. I use a earth magnet lock on the frame. A piano hinge is used to give you years of trouble free service. Andrew Betschman was very professional throughout the whole experience. Andrew made it easy by walking me through the process, making sure I got exactly what I wanted out of this project. Upon receiving the frame, I was very satisfied; great work at a great price in a timely manner.